What is the CodeHS App Store? If you create a graphics program or a React Native program that you’re proud of and want to share it, you can submit it to be featured in the CodeHS App Store! 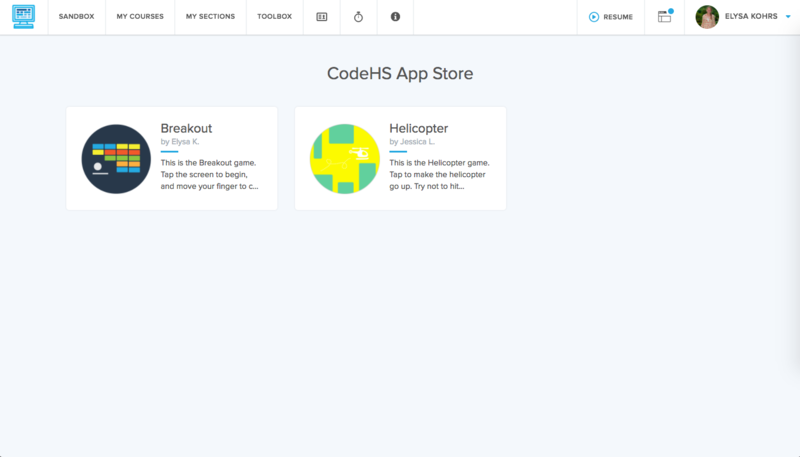 The CodeHS App Store is a collection of apps that people created on CodeHS which have been accepted into our app store. Each app can be opened through the free Expo app on any Android or iOS device. If you want to submit an app to the CodeHS App Store, navigate to the Share Tab from the editor page for your program by clicking More > Share. In the Share Tab, there is a section called Submit to the CodeHS App Store. You need to upload an image to use as your app icon and write a description of your app. 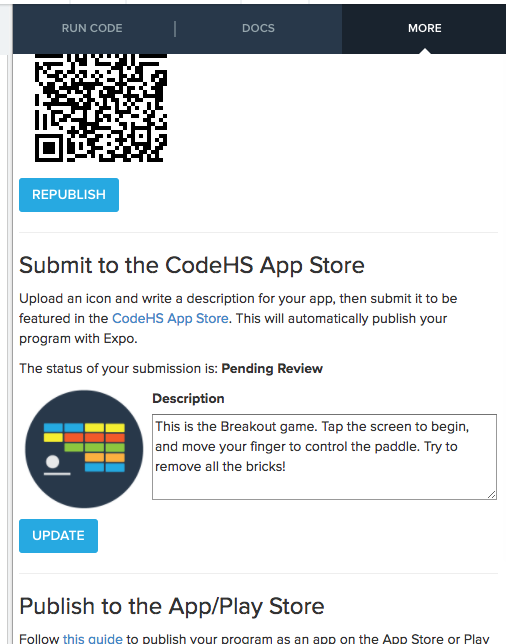 Then you can submit your app, and it will soon be reviewed by CodeHS. Submitting your app to the CodeHS App Store will automatically generate/update a Publish link for your program so that it has the latest code. If your app is accepted into the CodeHS App Store, it will appear at codehs.com/app_store. Clicking on your app will open a page with all the info about your app. 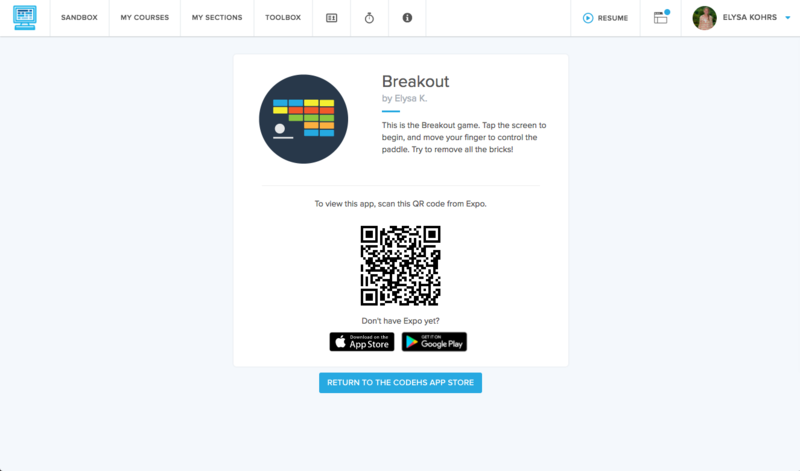 When anyone wants to view your app, they just need to open Expo on their phone and scan the QR code on the webpage.